On May 20, 2012, another sports card auction closed. Lot #71, a PSA 10 1969 Topps Reggie Jackson, sold for $115,242. On April 2, 2015, an eBay auction closed. 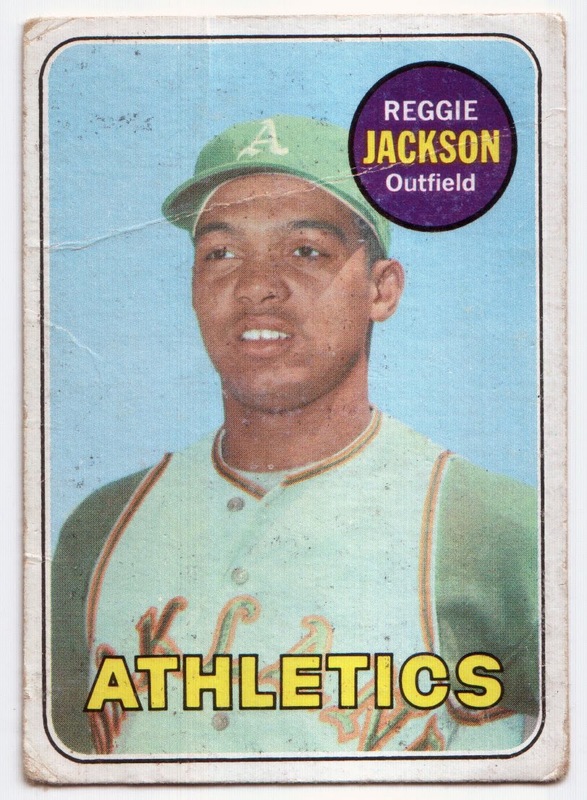 A 1969 Topps Reggie Jackson sold for $30. The same card with two vastly different price points. The first was once owned by former major leaguer Dmitri Young. As it turns out, he has one of the best graded rookie card collections around. His niche is high-end, highly-graded superstars. The other card is owned by me, I consider my poor old baseball card collection to be one of the (poorest) around. My niche is low-end, non-graded superstars. Today's arrival is this sweet lot of strip cards from 1927. I have plenty of old strip cards but these are the first from this playing card-like set. How cool are these? I was first intrigued by the two hall-of-famers: Al Simmons and Kiki Cuyler. 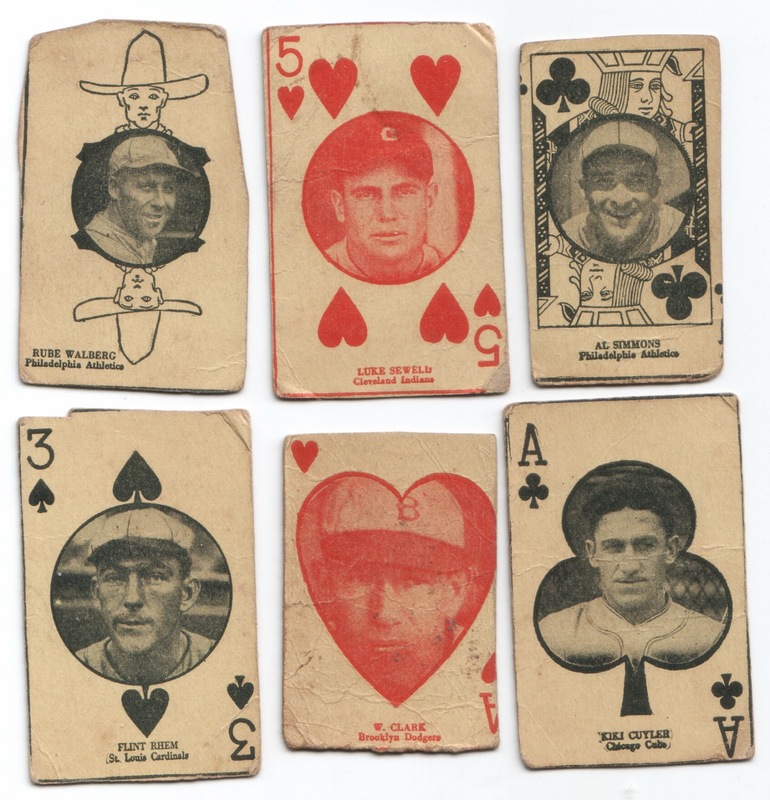 But as I inspected the cards, my eye kept going to (top, left) Rube Walberg. How could you not be attracted to that figure with the ten-gallon hat. Walberg was an interesting player. His overall 155-141 record as a pitcher with the Giants, A's and Red Sox is incredibly punctuated with 140 complete games. Walberg is also known as the hurler that gave up 17 homers to Babe Ruth, more than any other pitcher. He also hit four home runs of his own.